The mother of a Cy-Fair student killed in a car crash last week speaks out. HOUSTON (KTRK) -- The family of a Cypress Lakes High School student killed in a tragic crash sat down with Eyewitness News today. Reon Woodman's mother, Shirley Woodman, remembered her son as young man who loved God and soccer above all else. "It's very important to enjoy life. You never know what comes tomorrow. You never know. Sometimes, you leave your home and you never make it back to your house," said Woodman. "The morning before he left, he came and said as he does every day, 'Good morning, Mommy. Bye. I love you. Have a good day.' I said, 'Okay baby. Have a good day.' He said, 'Thank you.' He left. That was the last I heard from him and the last I saw him being alive." 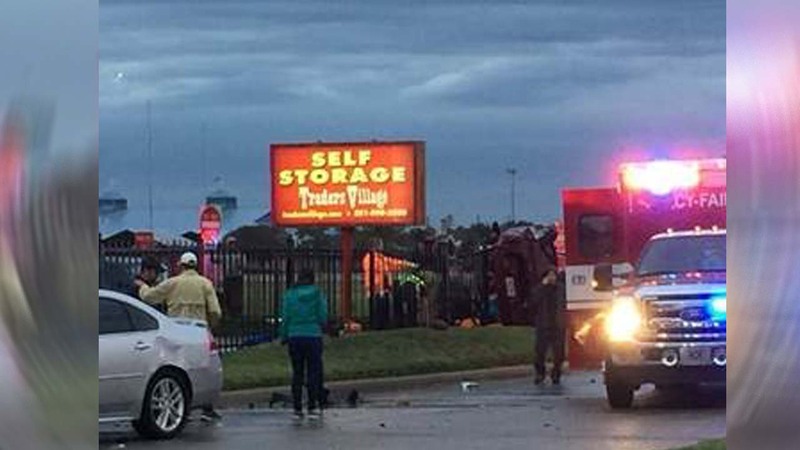 Two Cy-Fair ISD students were killed in a car accident on Friday evening, the school district confirmed Saturday. A third teen sustained non-life threatening injuries. Her son and his classmate, Troy Carrol, were killed last Friday in a car crash. The deadly collision happened on North Eldridge Parkway near Traders Village. Harris County investigators told ABC13 the car Woodman and four friends were driving in was T-boned by another vehicle. None of the drivers showed signs of impairment. Investigators said the teen driver failed to yield to oncoming traffic. "You know the young people -- they do things. They don't think. I'm so sad it happened this way," said Woodman. Woodman still can't understand why none of the teenagers were fastened in. She said she's still looking for answers as she prepares to say a final goodbye. "I have to be strong for his day. He's not taking it too well," said Woodman. "I have to try to be strong. I have my moments. Someone has to be strong for the family." Services for Reon Woodman are scheduled for tomorrow at Autumn Creek Baptist Church. Visitation is from 2pm to 4pm. The funeral is set for 4pm.